Information sessions offer prospective students the opportunity to learn more about the A. James Clark School of Engineering and tour engineering facilities. Spring 2019 Friday Information Sessions will begin on Friday, February 8, 2019 and will continue through Friday, May 10, 2019. Sessions begin at 1:00 p.m. and end by approximately 2:30 p.m.
All sessions include an overview of our majors, minors, special programs, and more. The overview is followed by a tour of A. James Clark Hall, the home of the Fischell Department of Bioengineering and many of our exciting laboratories! We recommend including the general campus information session with your engineering visit. Contact the Office of Undergraduate Admissions for information regarding My Maryland sessions or campus walking tours. 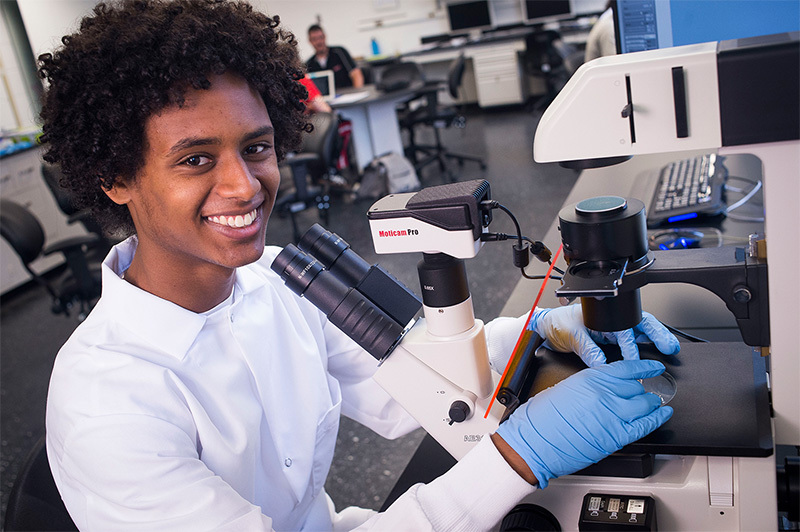 You may want to begin with a My Maryland session at 10:00 a.m. or a Terrapin Tour at 11:00 a.m., have lunch on campus, and then visit engineering. Are you a prospective transfer student? You may want to attend a Prospective Transfer Student Information Session. For more information on the transfer student admissions process and to register for an information session, please visit Undergraduate Advising & Academic Support. Friday information sessions will be held on the following dates. Please click on a date below to sign up for a session. Please note: No information sessions will be held on Admitted Student Open House dates. If you are an admitted engineering student, it is recommended that you register for one of these dates. For more information, please visit #NOWATERP. If you are unable to come to the University of Maryland to learn about the Clark School, sign up for a virtual information session here or view the video below. If you have registered for a session but need to reschedule or cancel your attendance, please email prospengr@umd.edu. Learn more about the facilities and features of A. James Clark Hall.